Donna graduated from Indiana University of Pennsylvania with a Bachelor of Science in Hotel Restaurant Institutional Management and a Bachelor of Arts in Spanish. She enjoyed a 10 year career in the hotel industry, working primarily in Sales at hotels in Princeton, NJ and Philadelphia. Shortly after the birth of her first child, Donna found work with the publishing company Prentice Hall, in their Pearson Education Division. She became a part of the Freelance Editing Team, facilitating projects involving college text books in the subjects of Marketing and Accounting. This job allowed her to work from home and afforded her the flexibility to become involved as a volunteer in her children's elementary school and school district. Donna relished the time she spent helping with classroom activities, attending field trips and working on various Home and School (PTA) committees. It also was during this time that she started a Bus Safety Committee for Central Bucks School District, served as Home and School President at John Barclay Elementary School, and became one of twenty Central Bucks School District CB Cares Ambassadors. 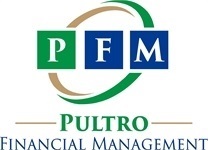 Donna joined Pultro Financial Management in 2007. After having been a client for 15 years, she jumped at the offer to become a part of such a well-respected, growing firm. Today Donna handles all of the administrative duties and servicing involved with client accounts. 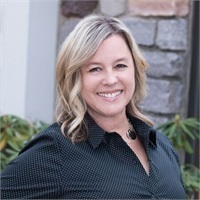 She enjoys the process of transitioning new clients into the firm and loves working with the many long-time clients she has gotten to know over the years. Donna has been married to her husband, Brian since 1992. They live in Warwick Township and enjoy a busy life with their four children, which includes coaching and watching them play on various sports teams, school activities and church youth group leadership.